Asia-Pacific polyethylene market had 48.7% market share of global polyethylene market in 2017. Different polyethylene quality requires different fabrication methods such as plastic welding, compounding, lamination and extrusion, which offers reduced weight and increased strength as compared to other plastic material, manufactured at lower costs. Technology advancement over the period of time has triggered the growth not only in Asia-Pacific polyethylene market but also the other industries such as plastic industry and packaging industry. Asia-Pacific polyethylene market is expected to increase its share to 62.9% in global market over the forecast period (2017-2025). Polyethylene makes up 6.4% of all carbonated beverages and water bottles. Products manufactured from recycled polyethylene such as producing plastic cement that uses 60%-40% waste polyethylene, is the major factor for the growth of APAC polyethylene market. In 2016, APAC polyethylene market remained up, when all other major market faced footfall in sales. The Dow chemical company experienced increased in volume in Asia, up by 16.0%, highest as compared to all other regions due to favorable tax rate in Asia-Pacific. Goldstein Research analyst forecast that the Asia-Pacific polyethylene production is expected to reach 70.6 million metric tons by 2025, growing at a CAGR of 6.2% over the forecast period. Factors such as technological research and developments, huge raw material availability, rising demand for plastic products and introduction of reinforced plastic materials are augmenting the growth of Asia-Pacific polyethylene market. The report covers the present ground scenario and the future growth prospects of the polyethylene market for 2017-2025 along with the production, consumption, exports, imports and revenue of Asia Pacific polyethylene market. We calculated the market size and revenue share on the basis of revenue generated from major players across the globe. We have forecast the market on the basis of polyethylene production, manufacturers, plastic production, and plastic recycling. On the basis of product type, high density polyethylene (HDPE) accounted for the largest market share of 44.8% in 2017, on the back of its application in making plastic bags, bottles and equipment that provides high strength to weight ratio and high resistance to chemicals and acids. Moreover, plastic industry is the major end-user of the polyethylene. Asia-Pacific Plastic industry is growing at a rate of 4.4% annually, and significantly impacting the growth of APAC polyethylene market. Polyethylene market outlook 2017-2025, has been prepared based on an in-depth market analysis from industry experts. The report covers the competitive landscape and current position of major players in the polyethylene market. The report also includes porter’s five force model, SWOT analysis, company profiling, business strategies of market players and their business models. Asia-Pacific polyethylene market report also recognizes value chain analysis to understand the cost differentiation to provide competitive advantage to the existing and new entry players. Polyethylene is obtained from petroleum oil, thus it has adverse impact on the non-renewable resources, for which various alternatives are being discovered on the back of sustainable environment. Trend of producing polyethylene has transformed from traditional practices of using crude oil towards using organic routes, through biological enzymatic reactions. Such trends are expected to continue to support the growth of plastic industry on the line of sustainability. Asia-Pacific has the largest plastic and packaging industries, demanding for the supply of polyethylene, most commonly used polymer type. Thus, APAC is the largest importer of polyethylene, with 48.7% imported by China alone in 2017, being one of the major the factors driving the Asia-Pacific polyethylene market. Manufacturing of polyethylene is regulated by different regulations under different economies that limit the manufacturing and supply of polyethylene on account of changing environmental campaigns towards inclusion of bio-based polyethylene. Further, shift towards bio-based polyethylene demands high expenditure from the manufacturers as compared to current scenario that hurdles the growth of APAC polyethylene market. Based on geography, China accounted for largest market share of 58.4% of the total Asia-Pacific polyethylene market, on the back of largest importer and manufacturer of polyethylene. Emerging economies such as India is expected to grow at a CAGR of 5.8% over the forecast period owing to expansion of plastic industry and implementation of industrial automation to increase the production. Reliance Industries Limited and ONGC Petro additions Ltd. are set to begin polyethylene production in India, increasing capacity by 2.01 million tons and 340,000 tons respectively starting to produce from 2017. Thus, on the back these developments India is expected to boost exports of polyethylene to China, Turkey, Africa and Southeast Asia in the coming years. 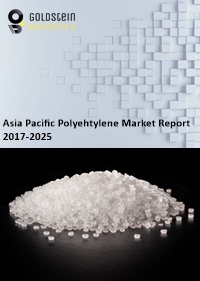 Asia-Pacific polyethylene market report comprises of the following companies as the key players in the polyethylene market: BASF, The Dow Chemical Company, China Petrochemical, Reliance Industries Limited, ONGC Petro additions Ltd, DuPont, LyondellBasell Industries Holdings, Exxon Mobil, SABIC, Sumitomo Chemical and others. What is the revenue of polyethylene market in 2016-17 and what would be the expected demand over the forecasted period?